Want to learn more about GEM? The Medic Portal are proud to say that we’ve partnered with the American University of the Caribbean School of Medicine (AUC) to host a series of free seminars. If you want to study GEM, but are worried about the competition in the UK, then The American University of the Caribbean School of Medicine is the perfect choice for you! AUC welcomes all applications from UK graduates and those with permanent residence in the United Kingdom. American University of the Caribbean School of Medicine (AUC), founded in 1978, is one of the oldest Caribbean medical schools. AUC offers a diversity of students a high-quality medical education. Our graduates are practising medicine in some of the most prestigious hospitals in the world and many are chief residents at their hospitals, entrusted with overseeing fellow physicians and responsible for entire divisions of patient care. The school provides you with a unique opportunity to complete your first two years of the medical sciences curriculum on AUC’s Caribbean campus on the island of St. Maarten. You will then be given the chance to continue your studies in the UK or US! To learn more about the entrance requirements for Graduate Entry Medicine at the AUC, please visit their admissions pages. AUC are delighted to announce details of their UK Scholarship which is renewable for a total value of $47,500. This scholarship is awarded to entering AUC students from the United Kingdom who meet the requirements. For further information please visit their UK Scholarship page. As mentioned above, years 1 and 2 (totalling five semesters) are spent on the AUC campus on the island of St. Maarten. Your time here will be spent attending classes teaching the medical knowledge necessary to start clinical work. Once your training is complete, you can then choose whether you want to qualify to practise in the UK or US! To find out more about the staff behind AUC’s programme, meet Stephen Ash, MD Clinical Dean, based in the United Kingdom. Abdo completed most of his clinical rotations in the UK with and elective in the US (Missouri). 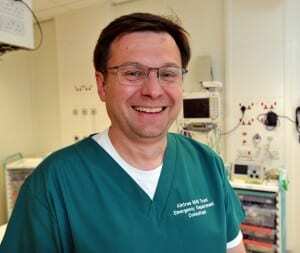 After passing the PLAB examination, he completed a basic surgical rotation before deciding on higher specialty training in Emergency Medicine. He is currently a Consultant in Emergency Medicine at Aintree University Hospital in Liverpool. Dr. Sohaib Bukhari was born on Japan and moved to Alaska at an early age. He graduated from University of Alaska, Anchorage with a Bachelor of Science in Biological Sciences. He went on to obtain a Graduate Certificate in Public Health from University of New England, Biddeford, Maine. It was here that he developed interest in medicine and public health. Subsequently, he attended medical school at the American University of the Caribbean. He did his core clinical rotations in the UK, elective rotations in New York, and graduated in 2008. After passing USMLE Steps 1, 2, and 3 in the US, Dr. Bukhari undertook a medical internship program in Saudi Arabia. Upon completion of his internship, he obtained full registration with the General Medical Council in the UK. Currently, he is a Senior House Officer in Acute Medicine at Ealing Hospital in London. He is a qualified physician in the US, UK and Saudi Arabia. 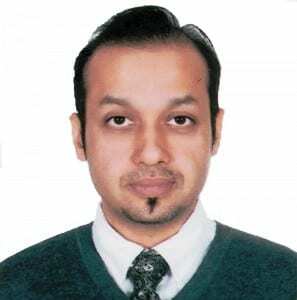 Outside medicine, Dr. Bukhari enjoys travelling with his wife, and is passionate about cars, technology and gaming. See how current AUC student Carissa is enjoying her internal medicine rotation in the UK. See how AUC student Ryan is enjoying his surgical rotation in the UK.